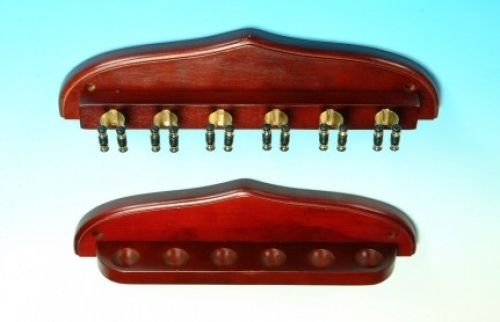 This simple one-piece cue rack is designed so that up to six cues can be held both securely and safely, allowing you to select the cue you want. 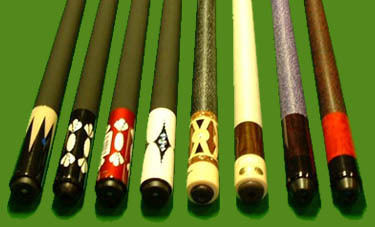 Sturdy plastic ensures that your cues are well looked-after. Please note: The model shown is a Rollerball, but may also be supplied with the Freewheeler branding, depending upon stock availablity. Availability and Delivery: The Freewheeler Cue Rack is usually in stock and will be delivered in 2 to 3 working days. 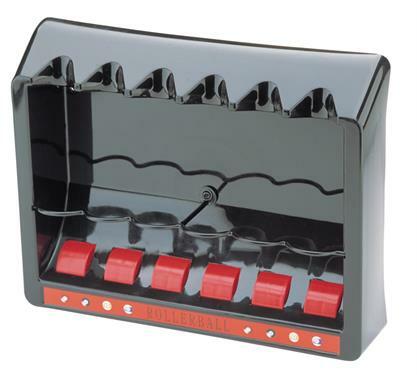 Stunning Red 8 Ball Cue Stand & Rack, the Original – Holds Up To 9 Cues! 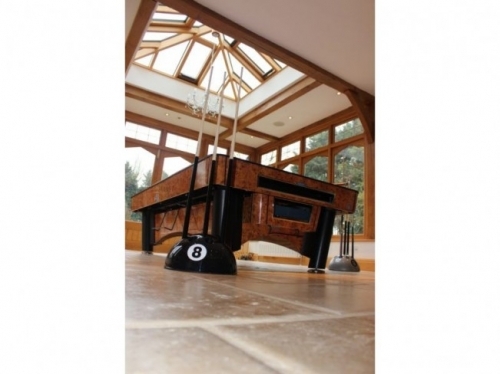 Stunning 8 Ball Cue Stand & Rack, the Original – Holds Up To 9 Cues! 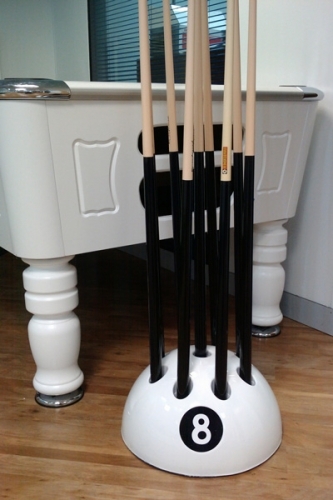 Stunning White 8 Ball Cue Stand & Rack, the Original – Holds Up To 9 Cues!